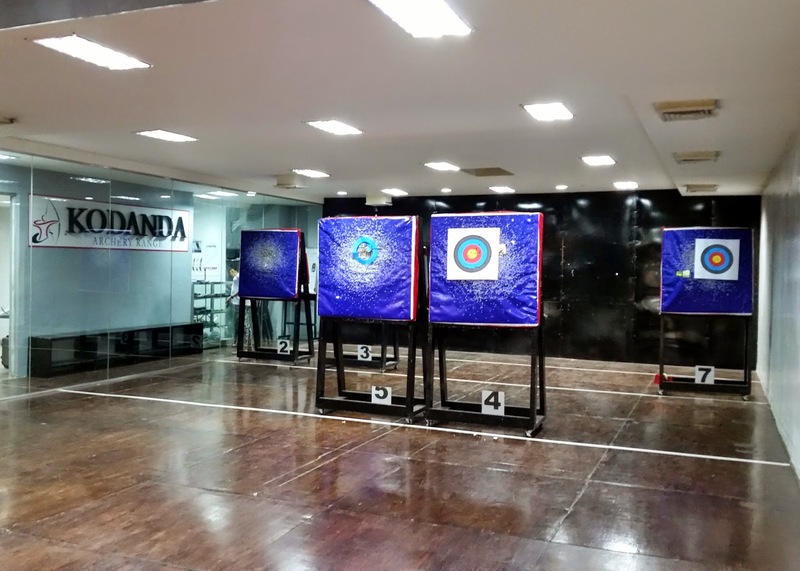 The accessibility of archery ranges in the city was a struggle for anyone who’s interested to try this sport. I didn’t even know any archers back then. 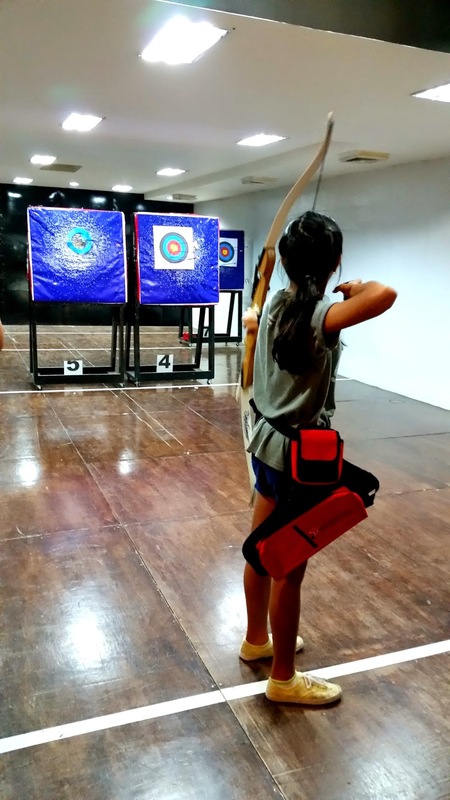 Fortunately - and you’re even luckier if you live near Makati, there’s Kodanda Archery Range at Makati Cinema Square. Group packages up to 15 people are also available which would be a good bonding activity for peers or families. 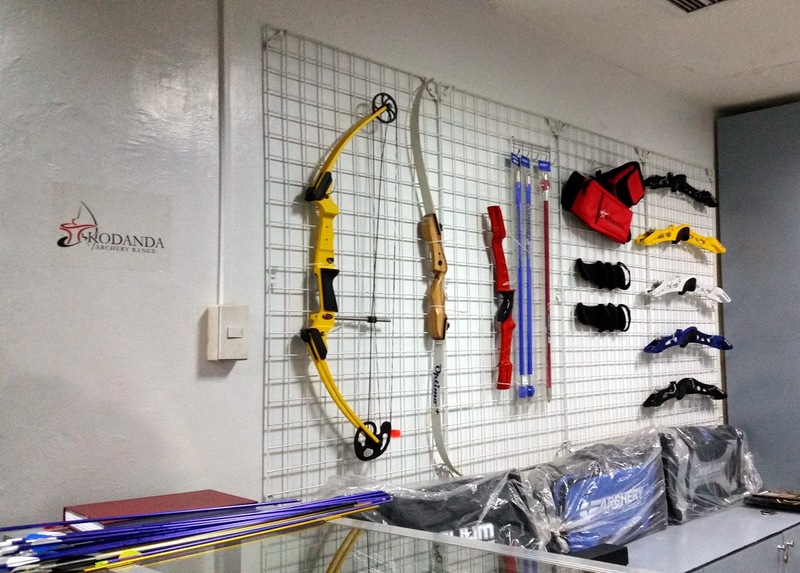 They also have a shop where you can buy bows, arrows and novelty items related to archery. In the 2012 London Olympics, two of the eleven-member Philippine contingent, Mark Javier and Rachel Anne Cabral, are proud archers. 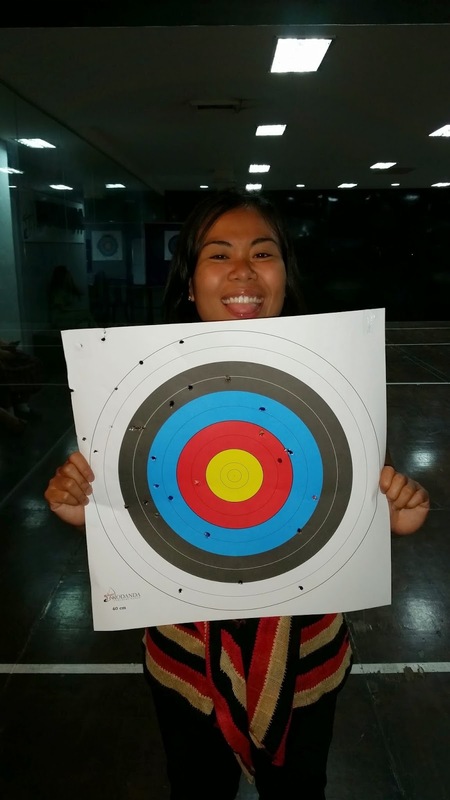 Syd Fraginal, a former Philippine National Team archer who was once a record-holder in the Southeast Asian (SEA) Games is a full-time coach at Kodanda Archery Range. Kodanda Archery Range now holds Fun Shoot Competition almost every month. There's a branch of Aida's Chicken on the floor above Kodanda where you can eat after your work-out. :P Aida's a popular chicken joint in Bacolod, my fave! Aida's branch here in Makati serves more dishes but twice as expensive but service and food is good. Rubber shoes or a footwear with a good grip is a must. Slippers not allowed. You don't want to slip on the floor in the middle of shooting an arrow. :P Wear something comfortable. remember, you will be raising one of your elbows most of the time. Archery requires focus so avoid disruptive noise. Do not talk in a loud voice while others are shooting. Do not talk to another archer who prefers to be silent. Do not disturb people with loud mobile phone ringtones or speaking on the phone. Fees include the use of the archery range, rental of international-standard equipment and protective gear, and target paper. Reservations and further inquiries, call +63(02)621.9109 and (0932)843.6614, look for May.